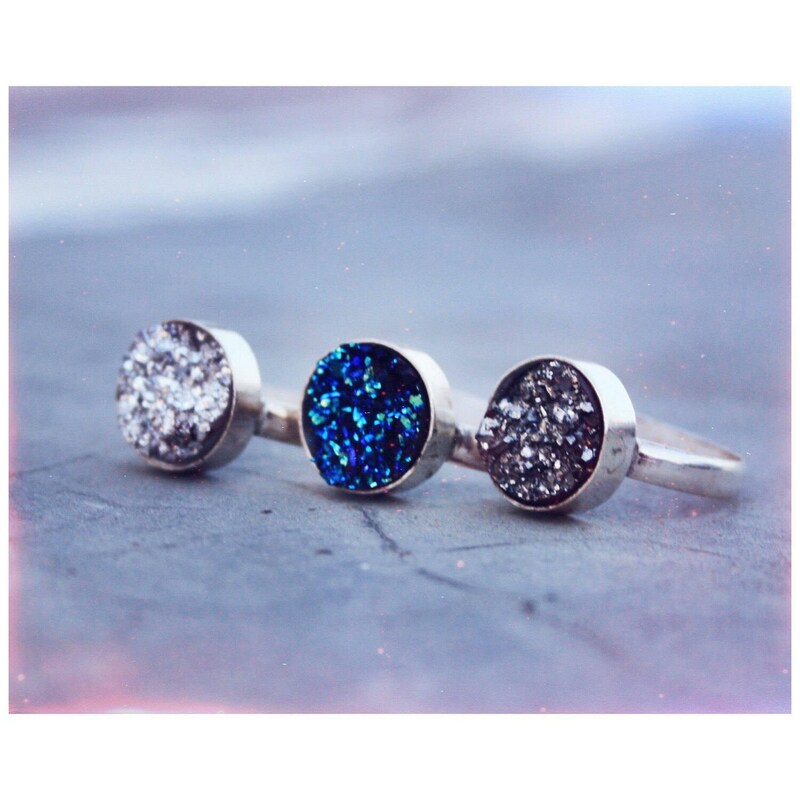 Handmade 925 Sterling Silver Galaxy ring with cosmic blue glitter Druzy style crystal. 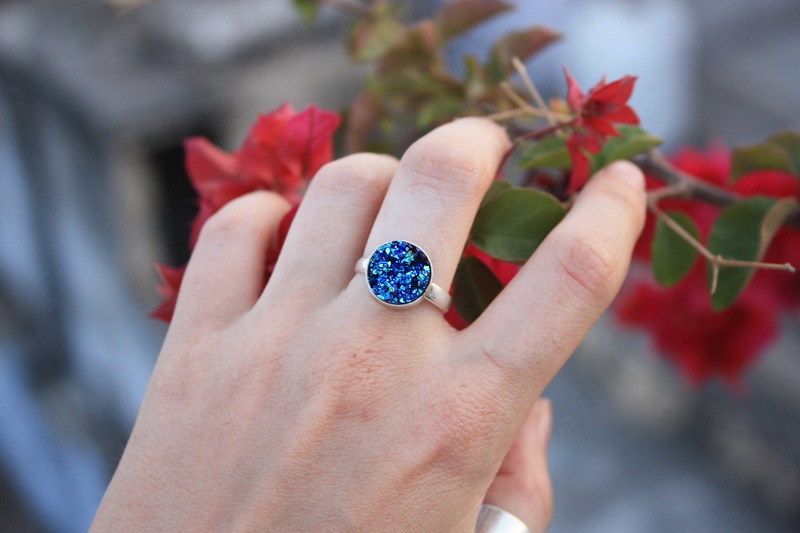 This ring glitters, glimmers and shines like the stars! 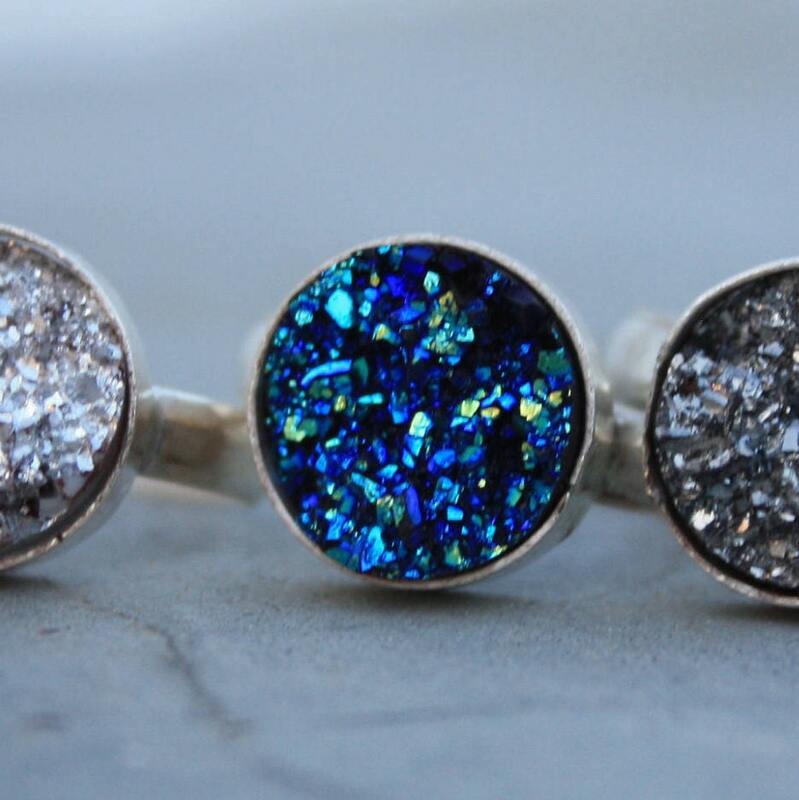 It's like wearing the universe! 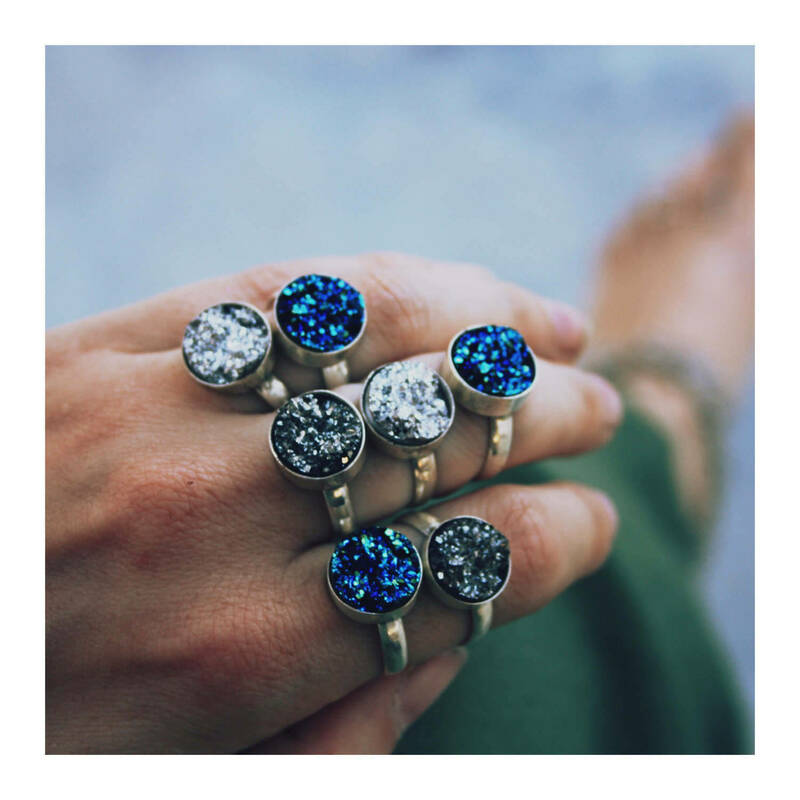 Grab yourself one of our magical galaxy rings!